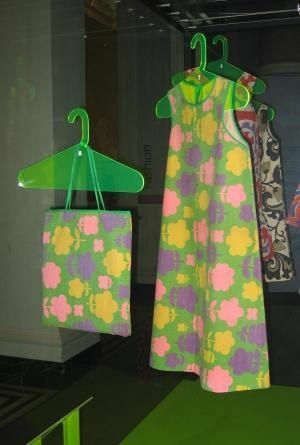 Dresses made with paper were briefly in fashion between 1966 and 1968. 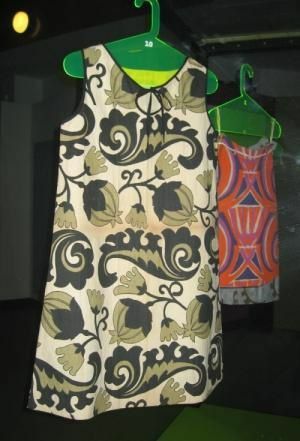 Their advantages were that they were affordable, simply shaped and there was a good selection of multicoloured printed fabrics. These paper dresses are not appropriate for daily life. They are no longer in the streets but you can sometimes see them in museums or in fashion shows. I prefer because we are already overrun with disposable products. I’ll keep my durable clothes. 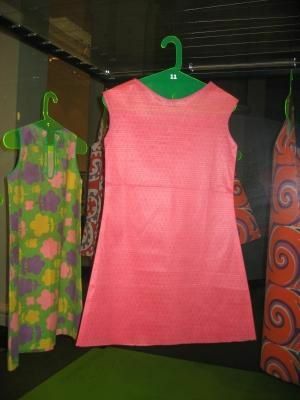 The photos show dresses on show in the Victoria & Albert Museum in London.